As you can see in my top image I have a ‘sleep mask’ I am not sure of the official name for these… but this is what I call it. Mine is an anatomicals one, with a quote I really like “Nod off and let the world sod off” I am not sure where this is from since my friend got it for me when she knew I was really struggling with my sleep, which was lovely of her! I am not sure if these work all that well in keeping you asleep but I do find they help with blocking out all light to help you fall asleep. (The purpose of them I suppose….) They never are on my head still in the morning though!!! Another little present off my friend as well as the sleep mask was this balm. 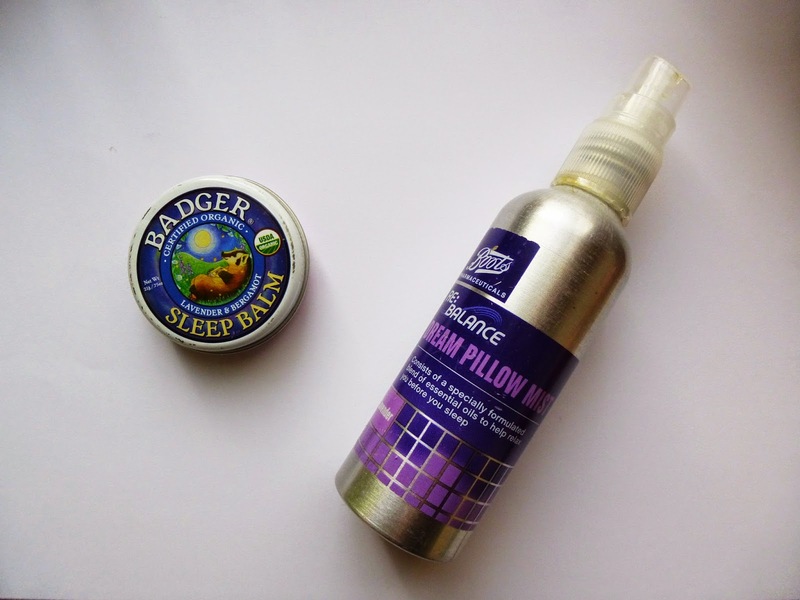 It is called the Badger Sleep Balm. Certified Orgnanic, Lavender & Bergamot. “a soothing temple rub. Use to improve natural sleep” It smells quite herbal, reminds me of certain sleepy bubble baths. I normally use this in combination with the Boots Pillow Spray above. This balm is lovely, not too greasy on the skin. I have read really good things about this product!!! Boots Re:Balance Dream Pillow Mist. I use it together with the sleep balm because it creates a sleepy aroma all around my room, and I also think I am the kind of person who face plants her pillow when I sleep! I am so close to finishing this bottle off 🙁 waaaa. I chose this one because it was affordable. It is £6.15, which is really cheap in comparison to others on the market plus its 100 ml which is a good size! I have used a product similar by ‘this works’ and it did work, but I wouldn’t say any better than this one and it was so much more money! My personal favourite hot drink is hot chocolate, particularly white hot chocolate. I find that a good hot drink at bedtime makes you feel all warm and cosy. Tastes delicious and it often makes me feel sleepy too. BRILLIANT!! If you are feeling like treating yourself you could add lots of yummy marshmallows and some cream, mmmmm. A lot of herbal teas are really good for sleeping as well such as chamomile and peppermint. I think you just have to search ‘Sleep Easily’ on the app store and it should come up, with an icon of similar colour to the app above ^^. I only have the free version at the moment but it really is SO good. The woman ‘Shazzie’ kind of whispers… and at first her voice kind of creeped me out, but wow it sends me to sleep every single time. It is about 25 mins long, and I know the first 10 mins pretty much off by heart, and no further – because I ALWAYS fall asleep about 10 mins in, to even hear the rest?!! It is so good. Thank you SO much Shazzie. 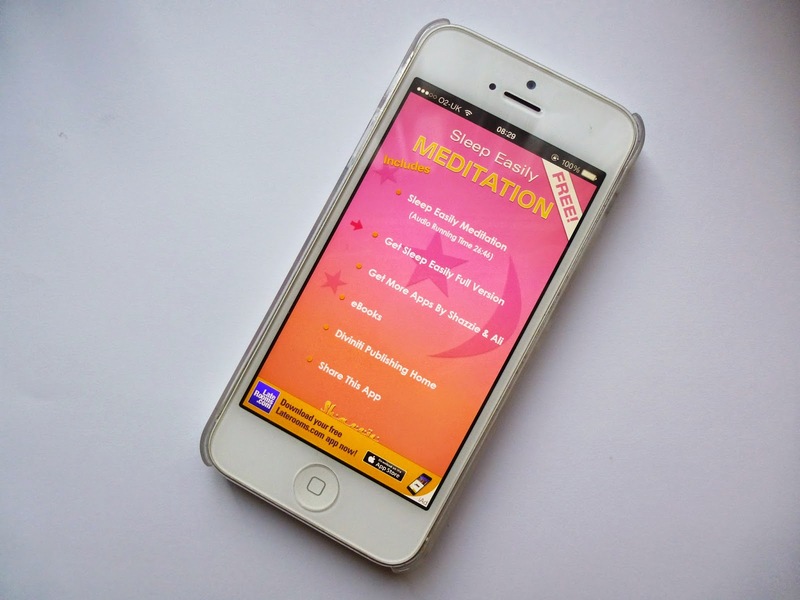 There are a lot of versions of sleep apps, but this is the one that has worked best for me. Try them all out! 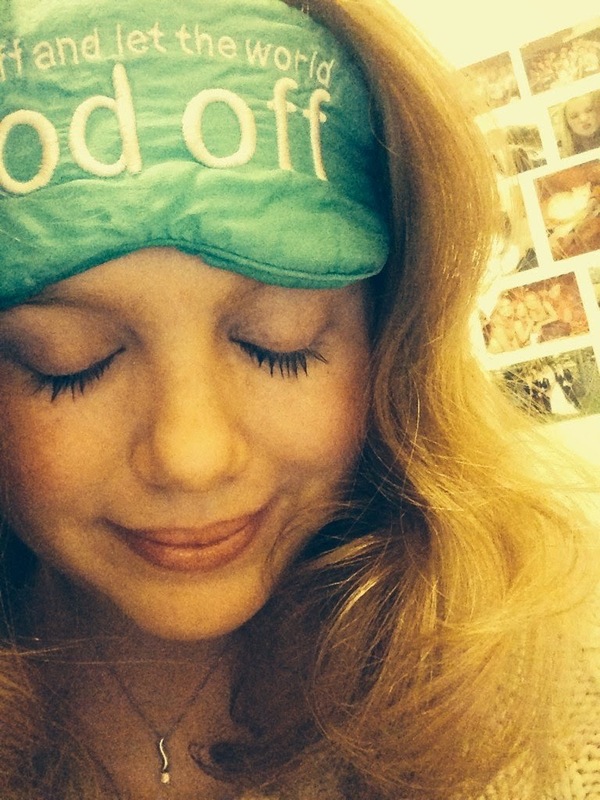 I do hope you enjoyed reading this blog post and that it has helped some of you sleep better! These were mainly products I use but I do have certain rituals I do, I may share these in the future. Do let me know if there is anything you use that helps you sleep better. I am always trying new things because I would love love a relaxing sleep. Previous Post Benefit ‘they’re real! push up liner’ review. It's so stressful when you can't sleep, especially if you have a big day the next day. Will be sure to the try out the tips, thanks for sharing! Loved this post! I'm such a light sleeper and always wake up feeling like I've had no sleep. I'm definitely going to try these tips! I've always fancied trying a pillow spray so thanks for the recommendation! Your blog is super duper cute!! I have anxiety and nightmare disorder, so sleep has never been easy for me. But I use lavender oil on my pillow at night and it works pretty well! I'm gonna try Shazzie and see how it works out. It sounds great! Thanks for the great post!